This level has hard difficulty. 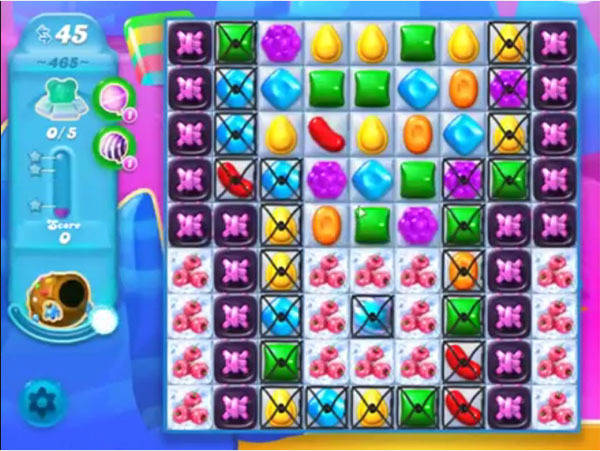 For this level try to play from center of the board and try to make striped candy or other special candy. Try to combine special candy with colorbomb to break the blockers and snow blocker to find the bear. After play near to snow blocker to find the bears. Been on it three days!?!? I’ve been trying for three weeks. I am probably one day away from uninstalling the darn game. Not fun anymore when all I get is shuffles because there are such cruddy moves for this long. Done with this game. I have done everything that was in the instructions, no luck. Done with this one.